Posted on 10/21/2015 by Mickey McCarter	in Live Review and tagged England, glam, hard rock, Justin Hawkins, metal, Queen, The Darkness, The Fillmore Silver Spring. Glam metal band The Darkness are back with a new album, Last of Our Kind, produced by the band’s guitarist Dan Hawkins and released earlier this year! If the UK glam rockers didn’t already remind us of Queen, mostly thanks to the impressive vocals of frontman Justin Hawkins (Dan’s brother), who surely could front a killer Freddie Mercury tribute, The Darkness have recruited an actual scion of Queen as their new drummer! 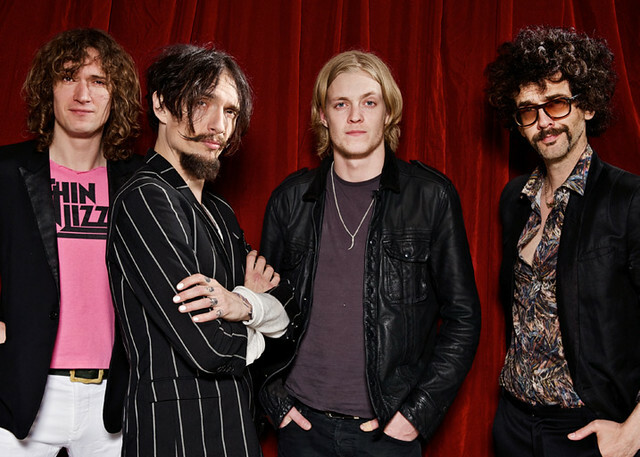 In 2015, The Darkness have introduced Rufus Tiger Taylor, the son of legendary Queen drummer Roger Taylor, as their new drummer, debuting him on tour in support of the new album. That tour comes to The Fillmore in Silver Spring, Md., on Sunday, Oct. 25, where The Darkness headline a show certain to feature terrific new songs alongside old favorites. The title track to Last of Our Kind will remind you of why everyone loved The Darkness so much in the first place, as it starts out with a catchy melody and builds into a soaring glam chorus before you can blink. Justin is in great form as a true showman in the song’s official video, and you also can see Rufus Tiger join the revelries (with Indian headdress nonetheless). Everyone is just plain having fun, which is the way it should be when you listen to The Darkness. Rolling Stone said of the new album: “Their sound remains perfectly suited for the biggest stages in the world.” Clearly, The Darkness are fully back in the saddle since reuniting for their 2012 album, Hot Cakes. You’ll want to bring wear your dancing shoes and your party pants to The Fillmore on Sunday! Posted on 10/20/2015 by Jeremy Bailey	in Live Review and tagged 9:30 Club, Garbage, TORRES. TORRES (aka Mackenzie Scott) joins Garbage at the 9:30 Club for two shows in October, on the 28th and 29th. In anticipation of touring with Garbage, TORRES did a cover of their song “Special”, a subdued version that focuses more on her vocals than the accompanying melody and beats. TORRES released her sophomore album, Sprinter, last May. The title song flows as a drawn-out, melancholy croon about losing faith. Both shows are sold out, but check the resale sites, as you won’t want to miss it. You can also buy a copy of Sprinter on iTunes, Amazon or Partisan’s website. 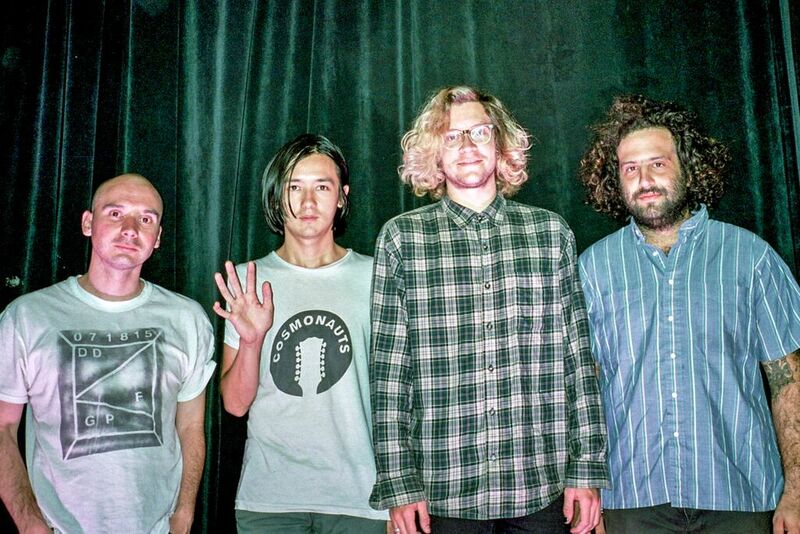 Posted on 10/20/2015 by Jeremy Bailey	in Live Review and tagged beards, guitar rock, Matt Pond PA, Philadelphia, Rock and Roll Hotel. Matt Pond PA, fronted by Matt Pond from Pennsylvania, took the Rock and Roll Hotel crowd on a refreshingly honest musical journey last Wednesday, 10/14/15. With a catalog of music spanning 17 years (their first album came out in 1998), they played 16 or so songs for the semi-full venue. That there were many long-time fans in attendance was apparent when you turned in every direction to spot the many people singing along to their older songs. In addition to the lead singer, Matt Pond, the band consists of his “best friend”, Chris Hansen, and other recurring members, including a bearded cellist. The band did enjoy beards, as three of the five members sported one. 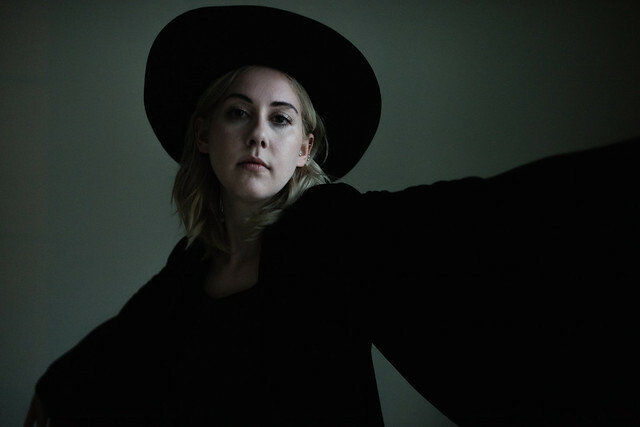 This speaks more to the expectation of a more folk or country sound, but the reality is there were elements of many musical genres, from guitar rock, chamber pop, post-punk and the aforementioned folk and country. The band is currently touring for their 10th full-length album, The State of Gold, released in June. Their setlist was certainly supportive of the new material, as they played at least five songs from The State of Gold. Posted on 10/19/2015 by Mickey McCarter	in Live Review and tagged '80s music, cover band, hard rock, Howard Theatre, Jessie's Girl, Le Poisson Rouge, new wave, New York City, power pop. 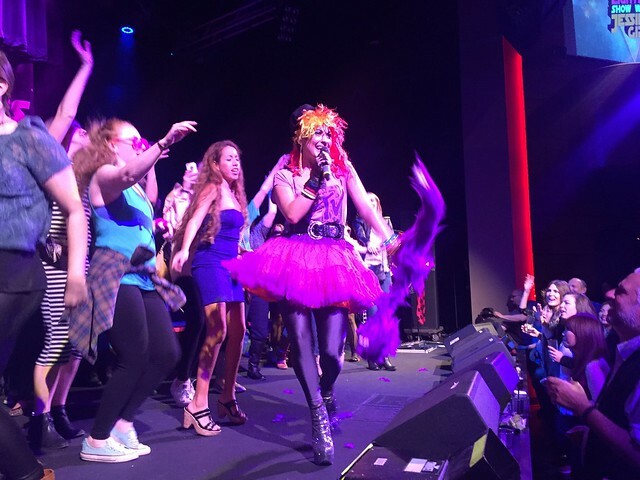 Jenna O’Gara leads the girls on stage for “Girls Just Want to Have Fun” at the Howard on Oct. 16, 2015. 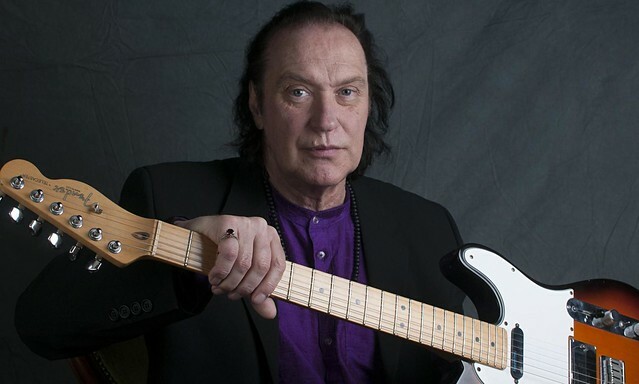 Usually closely held by denizens of New York City, Jessie’s Girl brought its brightly lit guitar solos to the Howard Theatre on Friday night to an ardent audience happy to dance their hearts out. The seven-person ensemble rocks out with a wide variety of tunes from the ’80s, ranging from artists like Prince, Madonna, Cyndi Lauper, A-ha, Loverboy, and more. Friday, they bound onto the stage with intro music borrowed from “The Final Countdown” by Europe and then proceeded to dive headlong into kinetic tributes to musicians who defined a decade. Early in the show, the band jumps into “Working for the Weekend” by Loverboy, encouraging the crowd to hop around the room, hands raised in celebration. Singers Jenna O’Gara and Mark Rinzel trade off vocal duties for the song, pumping up the shamelessly lyrical fun of the song’s mission statement: Take a few days off to party! Posted on 10/19/2015 by Mickey McCarter	in Live Review and tagged Anjunadeep, Chymera, deep house, Germany, Hot Since 82, Lane 8, U Street Music Hall. Deep house musician Lane 8 captivated a sold-out show at U Street Music Hall on Thursday night with his own house compositions and mixes of similar earworms from artists delivering complementary stately beats. 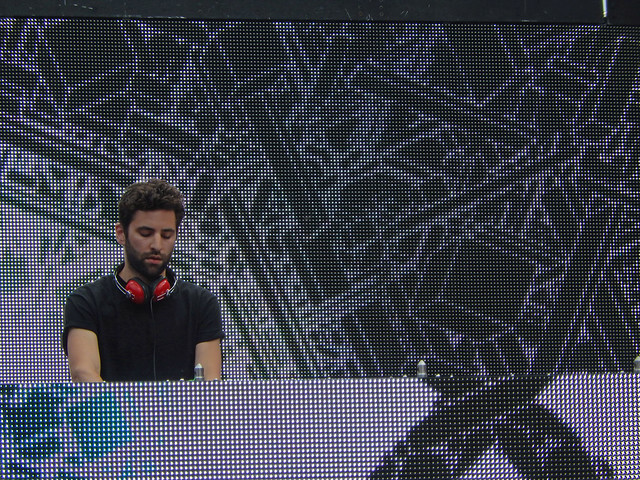 Lane 8 (born Daniel Goldstein) is an American ex-pat living in Germany with an affection for unhurried rhythms. He kicked off a DJ set shortly after midnight with his own “Undercover” featuring Matthew Dear. The sparkling synths of the song couples well with the hushed bluesy voice of Matthew Dear, who serves as vocalist for the number. The number drifts above the crowd in soothing, pleasing pulses. The audience at U Street Music Hall fell into formation, facing Lane 8 from the DJ booth to the stage behind them, and several young dancers took the stage to express their approval with mannered, if occasionally frenetic, dancing.